1.5"W x 49"L (3.81 x 124.5 cm). 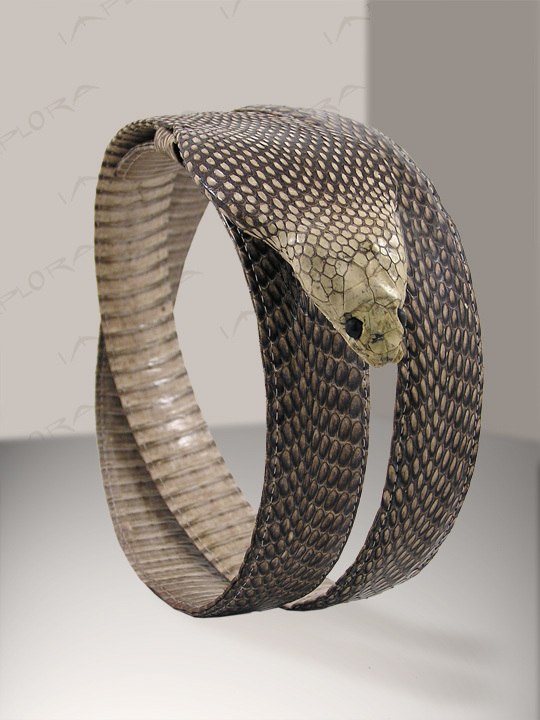 Real Asian Spitting Cobra taxidermy. 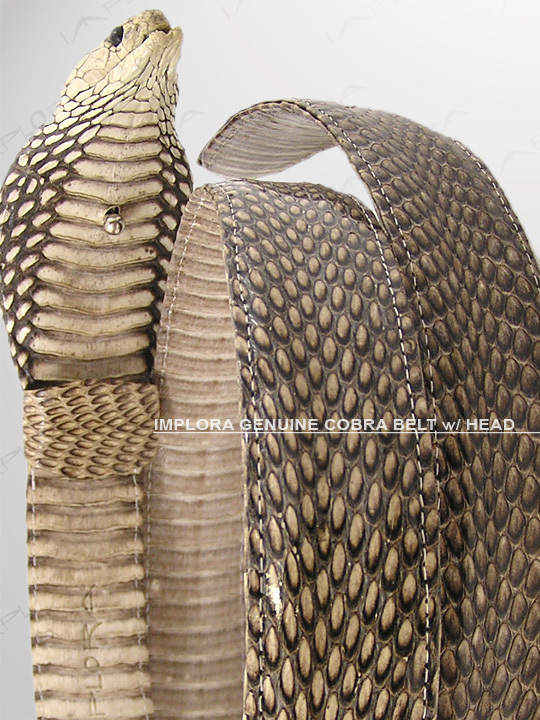 Belt will slide underneath Cobra head buckle. Each belt is smiliar but not exact.